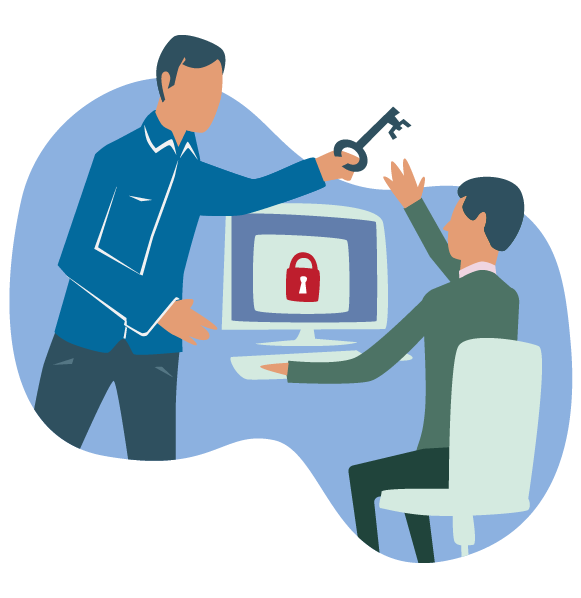 The price of security in digital signage. Get your free white paper. 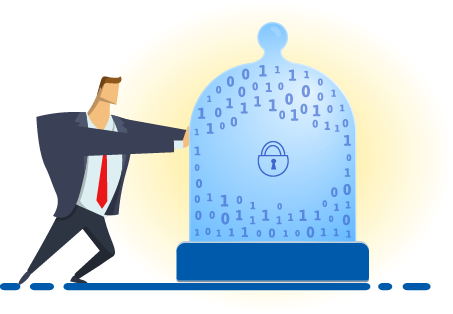 Does security really matter for your business? Yes! No matter who you are: a One-Man-Show small business or a multinational corporation, it’s important for you to consider security before moving on with your next digital display installation. Why? When planning and deploying an audiovisual installation, you might have stakeholders with vastly different concerns towards security - typically, marketing and IT. This risks security not being taken seriously into account. Security should be a priority for everyone. 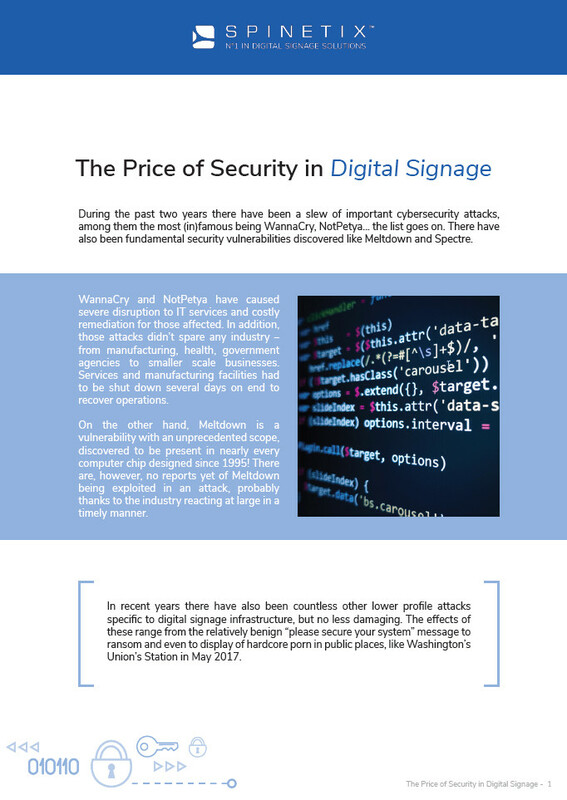 In a digital-signage context, a security attack may cost you downtime, lost advertising revenue, and even your company image. A compromised digital signage installation can also be used to attack other IT infrastructure. Get yourself acquainted. As an easy first step, download and read our free white paper. See how security plays a role in any digital signage installation. What can you learn from our free white paper? What to consider when evaluating a digital signage solution. * I agree the information I provide may be used by the SpinetiX team to contact me by email in order to follow up on my request in accordance with SpinetiX's Privacy Notice. I would like to receive SpinetiX updates and news by email in accordance with SpinetiX's Privacy Notice.